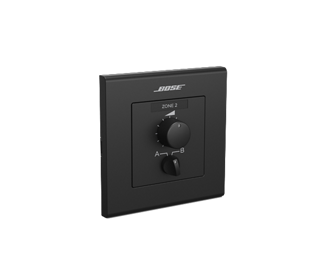 The Bose® ControlSpace® ESP-1240 engineered sound processor is an open-architecture DSP with 12x4 fixed analog audio, built-in 8-channel ESPLink output and a rear-panel digital expansion slot offering IP-based network audio and control card options. This model meets today’s strict requirements for high-quality signal processing and control in a cost-effective package. The ESP-1240 is designed for a wide variety of applications ranging from small self-contained projects to larger networked applications. Four new Bose engineered sound processors, the ESP-880, ESP-1240, ESP-1600 and ESP-4120 have been added to the ControlSpace product line. These models leverage high-quality digital conversion, powerful open-architecture signal processing and a rear panel digital network card slot accommodating network control and/or network audio options such as Dante™. Packaged in a 1RU form factor, the four models offer selection of 8x8, 12x4, 16x0 and 4x12 analog I/O with >115 dBA dynamic range and mic/line inputs with available +48 VDC phantom power. 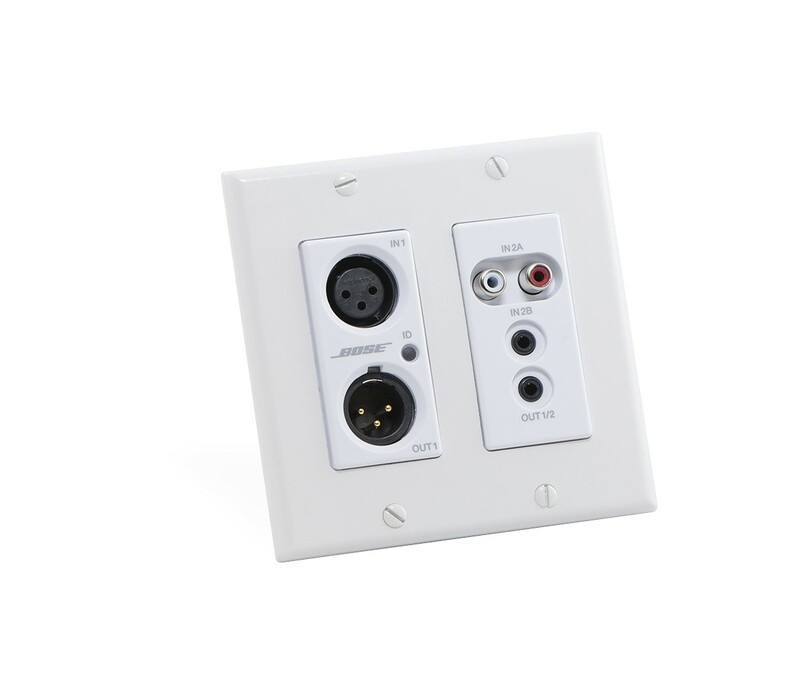 In addition, an onboard ESPLink output allows simple daisy-chaining of 8 digital audio channels to Bose PowerMatch® amplifiers. In addition, the flexible card-frame ControlSpace ESP-88 and ESP-00 processors have been replaced by the ControlSpace ESP-00 Series II engineered sound processor. The ESP-00 II features all of the functionality and card options available with the original ESP-00 processor but with enhanced DSP capacity and a new look. What are ControlSpace engineered sound processors? 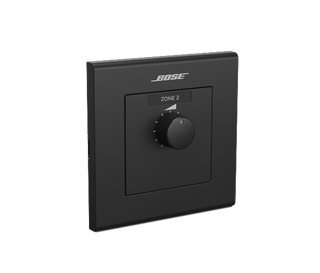 Bose ControlSpace engineered sound processors serve as the backbone to nearly any installed sound system, offering high-quality audio processing, a wide range of analog and digital I/O connectivity, and elegant end-user controls. Applications include concert halls, houses of worship, retail and hospitality locations. ControlSpace engineered sound processors feature open-architecture DSP and are programmed using ControlSpace Designer™ software. With ControlSpace Designer software, a full suite of signal processing modules can be used including automatic mic mixing, multiband graphic and parametric EQs, Bose loudspeaker EQ libraries, signal generators, routers, mixers, AGCs, duckers, gates, compressors, source selectors and delays. What are the important features of ControlSpace ESP-880/1240/4120/1600 systems? Four fixed-I/O ESP models: Choice of 8x8, 12x4, 16x0 or 4x12 analog I/O allows for efficient sizing of processing to match installation requirements. High-quality analog circuitry: Provides ultra-low distortion and noise (0.002% THD+N) and >115 dB analog dynamic range (A-weighted, input to output). Advanced, open-architecture DSP: 48 kHz sample rate/24-bit conversion and a fixed/floating-point DSP. Allows an open arrangement of low-latency signal processing and control functions using ControlSpace Designer™ software. Front-panel RJ-45 Ethernet connection: Allows localized configuration of the processor for stand-alone operation, or when used together with an optional rear-panel network card, serves as a convenient patch to a larger network. 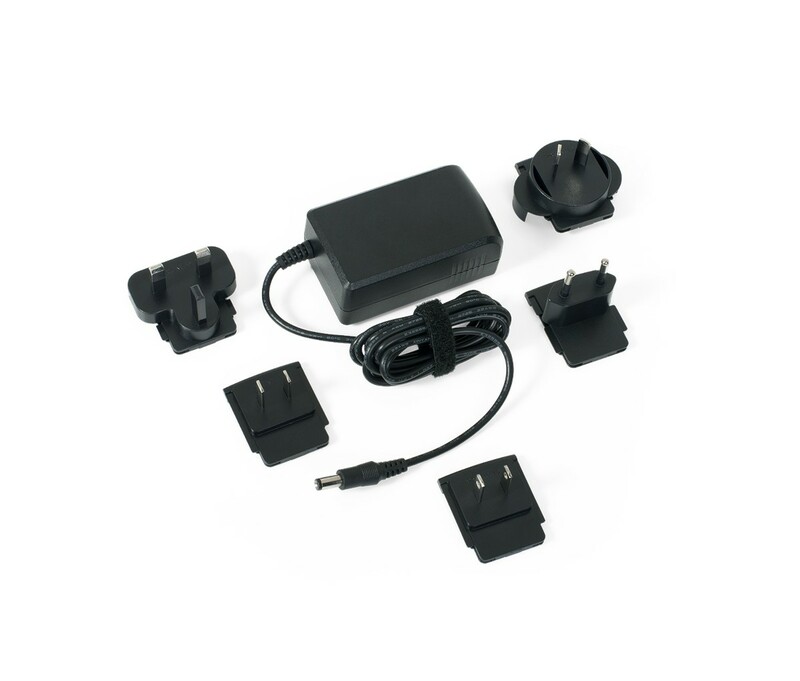 Integrated Bose® ESPLink output: Enables a simplified, cost-effective method to carry 8 digital audio channels to one or more PowerMatch® amplifiers. Ideal for carrying digital audio to amplifiers sharing the same equipment rack. 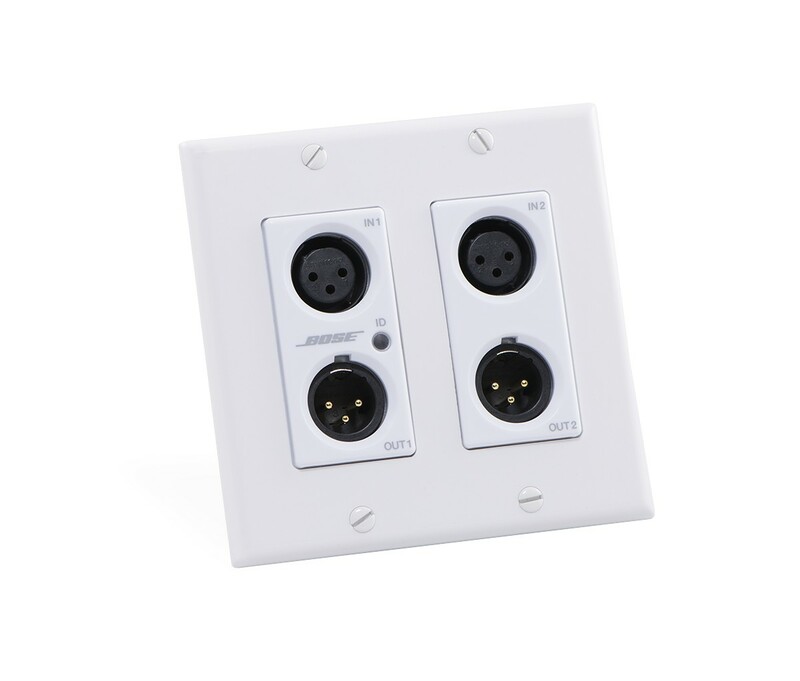 One-wire networking using expansion cards: Optional audio networking cards leverage connections combining streaming audio and control on the same cable, eliminating the need for two separate network connections. Bose ControlSpace Designer™ software: Offers a large set of signal processing modules such as automatic microphone mixing, multiband graphic and parametric EQs, Bose loudspeaker EQ libraries, signal generators, routers, mixers, AGCs, duckers, gates, compressors, source selectors and delays. 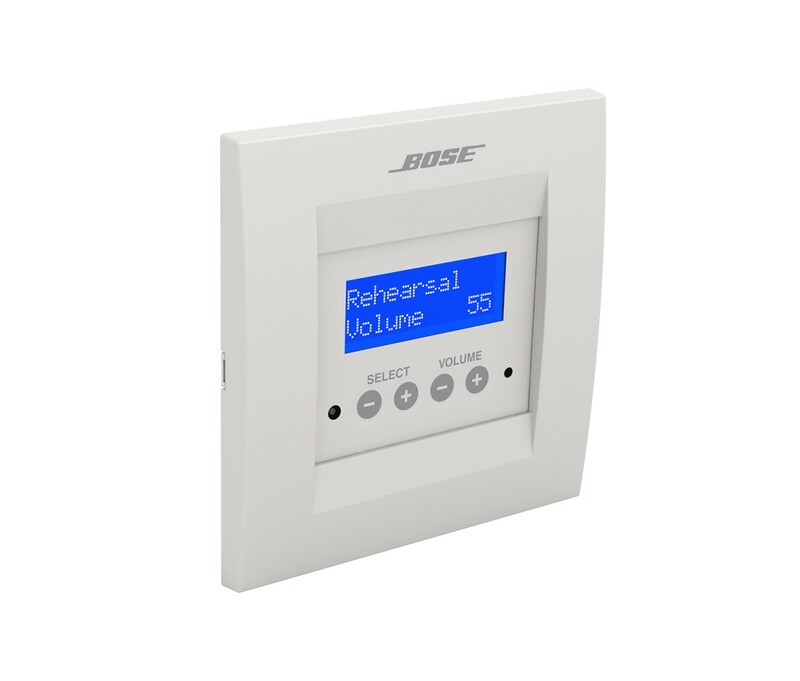 With ControlSpace Designer software, it is possible to design, configure, control and monitor all Bose networked system electronics from a single software application. 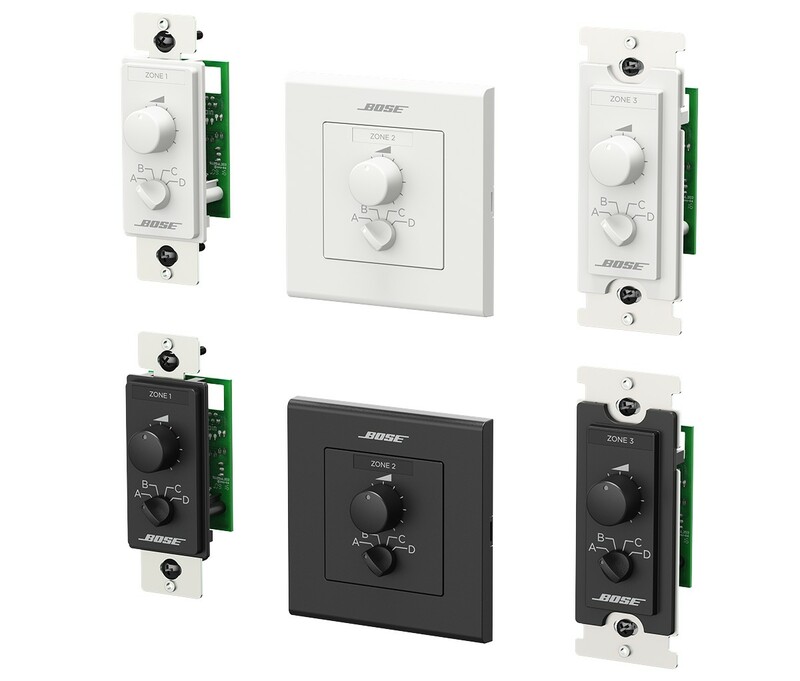 A variety of control options: All models are compatible with Bose CC-64 and CC-16 programmable controllers, GPIO control using the simplified Bose room controllers, and ControlSpace Remote, an iOS/Android control application for phones and tablets. Integration with third-party control systems and remotes: Built-in RS-232 serial, Ethernet and GPIO ports provide solid integration with industry-standard control systems and third-party user controls. How many audio channels can the fixed-I/O processors manage? The ESP-880 (8x8), ESP-1240 (12x4), ESP-1600 (16x0), and ESP-4120 (4x12) engineering sound processors each provide 16 analog audio channels, 8 ESPLink outputs and 16x16 digital audio channels (with use of the expansion card). What types of digital expansion cards are available for the fixed-I/O processors? 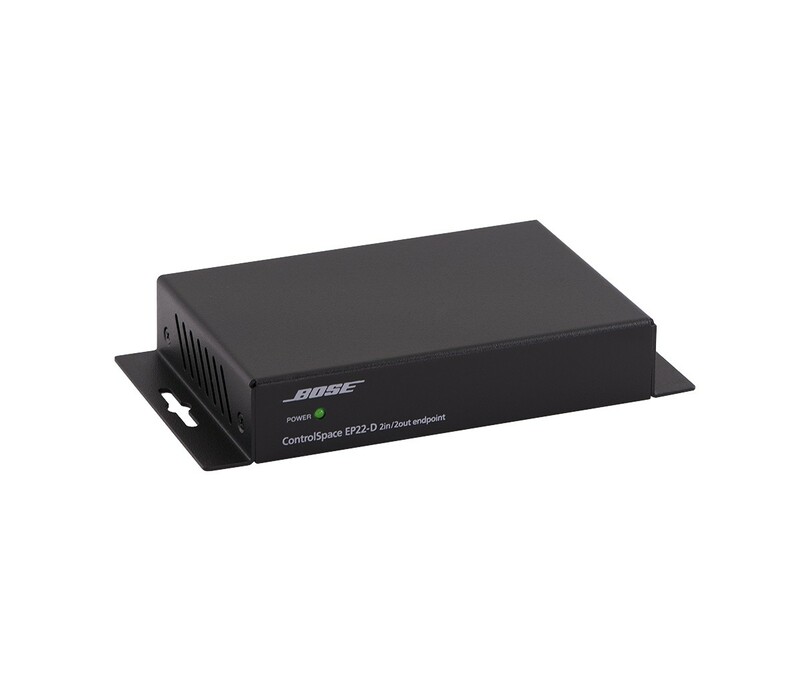 ControlSpace® fixed-I/O processors offer a rear panel digital expansion slot for adding network audio and control capabilities beyond what is available using the front panel RJ-45 connector. 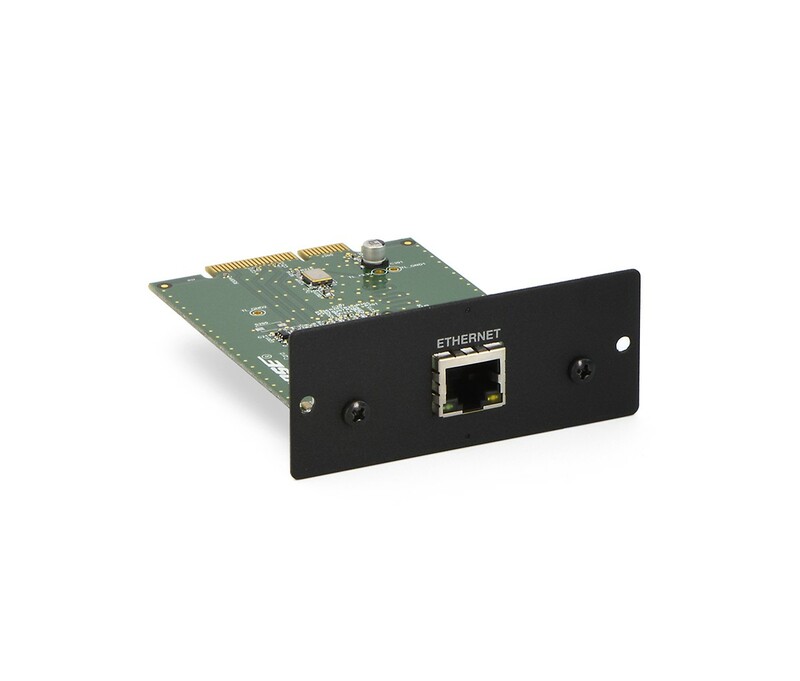 There are currently two expansion cards available, the ControlSpace Fixed-I/O Network Control card (PC 359841-0010) which is recommended for systems requiring control network connections to be located on the rear panel (without streaming audio), and the ControlSpace Fixed-I/O Dante™ network card (PC 359842-0020). The fixed-I/O processors have 5 general-purpose GPIO inputs and 5 general-purpose GPIO outputs. What are the audio channel limitations of the fixed-I/O processors? The fixed-I/O processors each have a maximum capability of 56 audio channels (including use of the expansion card) which can be implemented as digital or analog channels. 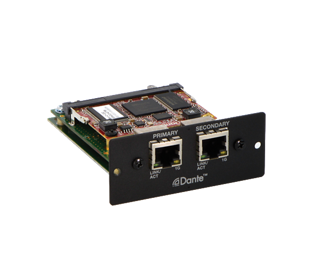 Only one networking card (Dante™) may be used in a single ESP-880/1240/4120/1600 processor. What is ControlSpace Designer™ software? 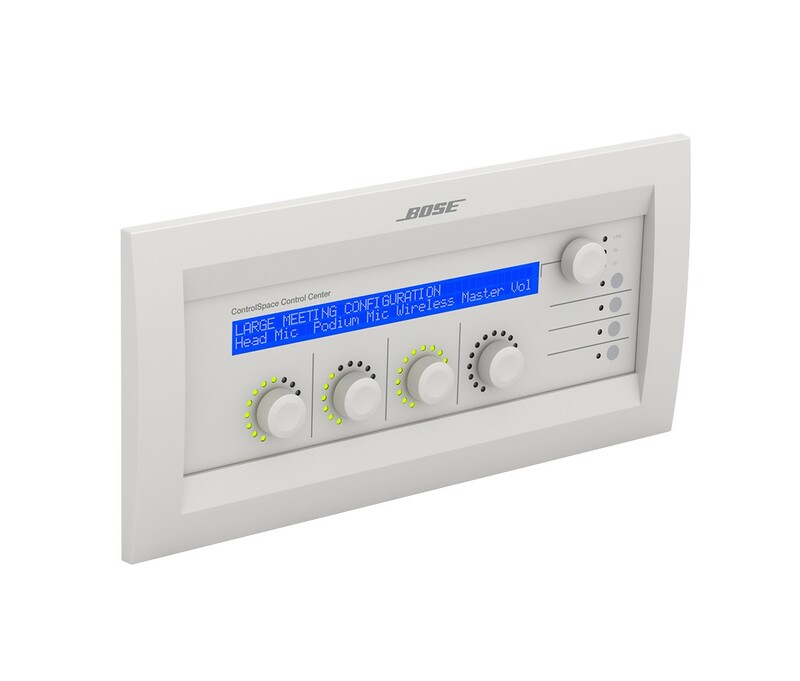 Bose ControlSpace Designer software is a graphical user interface tool for the design configuration and control of systems consisting of Engineered Sound Processors, PowerMatch® configurable professional amplifiers and Bose control centers. Using ControlSpace Designer software, it is possible to design, configure, control and monitor all Bose networked system electronics from within a single application. Using a standard drag and drop user interface, ControlSpace Designer software is used to quickly and accurately configure signal processing functions within engineered sound processors and PowerMatch amplifiers, and to develop complex control programming for system operation. Groups, parameter sets and timers can be created to control multiple signal processing factors. These high-level constructs and other discrete signal processing controls are dragged onto user controls or timers for implementation of the installation's controls. Once a control, group or parameter set is dragged onto a user control or general-purpose input, it can immediately be "used" (by pressing the onscreen button) and the user control operation can be verified via the software's Smart Simulation feature. Because this can be done offline, hours of user control debugging can be saved by verifying interactions before going to the job site or connecting the hardware. What are the key features of the new ControlSpace Designer version 4.2 software? Can ControlSpace Designer software work with Microsoft® Windows® 8? Yes, ControlSpace Designer v4.2 is compatible with Windows 8/8.1. What kind of computer do I need to run ControlSpace Designer software v4.2? Are there iOS or Android™ apps for use with the fixed-I/O processors? What is the warranty of the ControlSpace fixed-I/O engineered sound processors? The ControlSpace fixed-I/O processors are covered by a five-year limited warranty that is fully transferable.